Join SimplyHome’s CEO Allen Ray as he leads a discussion on how to successfully integrate assistive technology into any person-centered organization. He will highlight specific technologies that can address your concerns while exploring the funding options that are available in the state of Alabama. This event is hosted by United Ability in Birmingham, AL. The Railway of Change is a gathering that invites people to “share, learn, reflect and renew our commitment to supporting people to have positive control of the lives they choose to live!” SimplyHome will be presenting on enabling technology at this conference held in Gatlinburg, TN. The START National Training Institute is the Center for START Services’ annual training institute regarding the Mental Health Aspects of Intellectual Disabilities. The Institute will take place May 6-8, 2019, in Washington, DC. ANCOR is the largest national gathering of I/DD service providers in the nation. Comprised of 1,600+ providers, this community employs more than a half-million professionals who collectively support more than 1 million individuals with intellectual and developmental disabilities (I/DD) throughout the United States. The Tennessee Disability MegaConference is Tennessee’s largest disability-specific conference for individuals with disabilities, families, and professionals. SimplyHome’s Jason Ray will be joining with Audria Frattini (of Prospect, Inc). and Nick Filarelli (of Core Services of Northeast TN) to share compelling stories from TN DIDD's new Enabling Technology pilot program. The conference will take place at the Nashville Airport Marriott from May 23-24, 2019. The National Association of Qualified Intellectual Disability Professionals will host the 2019 TEC (Technology Enhancing Capabilities) Conference on June 5, 2019 at the NIU Conference Center located in Naperville, IL. Harold Sloves, the leader of Tennessee’s Enabling Technology Movement and supporting projects, will be the keynote speaker. He will lead a session entitled, “So You Want to be a Technology Provider – Do You Know Why?” He will share Tennesee’s journey in becoming a “Technology Now” state. SimplyHome is an enabling technology vendor and education partner with the Tennessee DIDD Enabling Technology pilot. The 18th Annual Full Lives Conference for Direct Service Professionals & Care Coordinators will take place April 10-12 in Anchorage, Alaska. The theme this year will be Supporting the Future of our Workforce. This conference is co-hosted by the State of Alaska Senior & Disability Services and by the Alaska Training Cooperative. SimplyHome will be represented by our partners at FeelSafe Technology. SimplyHome is proud to announce a special presentation at the 2019 New York Alliance Conference. “Doing My Own Thing: Transition to Independence Using Enabling Technology” will be a joint presentation featuring Colleen, an individual who recently transitioned from a 24-hour supervised living environment into a place of her own; some of the DDINY staff who support Colleen in attaining new levels of independence; and Meghan O’Sullivan, SimplyHome enabling technology partner. This is a Tech:Fest preview event for provider agencies, case managers, other professionals, guardians, self-advocates, and anyone interested in innovation in disability services. This is a mini Tech:Fest giving you a glimpse of a full Tech:Fest scheduled for June 2019. Missouri AAIDD and Disability Cocoon are teaming up to bring a new way of learning the latest and greatest in disability technology. The inaugural, one-day disability technology festival will be held on March 14, 2019 in Saint Louis at Innovation Hall! Join us for a Lunch & Learn at the SRVS Main Offices in Memphis, TN: “Creating Connection & Independence with Technology.” Featured presenters include Jason Ray, SimplyHome’s Chief of Development & Harold Sloves, TN DIDD’s Fiscal Operations Analyst. The Applied Behavior Analysis NYC Conference 2019 will bring together behavior analysts, educators, social workers, other professionals, and parents for a day-long conference on advanced material related to applied behavior analysis. SHA's annual conference will take place on December 7, 2018. The conference is an educational and networking opportunity for housing and service providers, community planners, housing developers, public officials, families/consumers and those interested in promoting supportive housing for people with special needs and advancing supportive housing. The conference draws an average of over 400 attendees and addresses state, regional, and national issues. This year's NJ Supportive Housing Conference theme, "Great Expectations – Building on the Past, Envisioning the Future," acknowledges the many achievements that have moved supportive housing forward over the last 20 years while highlighting the exciting innovations taking place across the country. Our industry's continued and persistent drive to provide homes and services for people of low income and with special needs continues to push the boundaries of independence and integration. This year's conference will focus on how developers, service providers, advocates, families and consumers are creating new partnerships and targeting resources to increase the community living options for people with special needs. SimplyHome will be represented by Meghan O'Sullivan. For people looking for products and services that will give them more choices and greater independence, this expo will be an exceptional opportunity to meet with assistive technology providers. SimplyHome Representative Matt Hansen is eager to answer any questions you may have. Feel free to visit our booth. SimplyHome will be represented at the CUOT AT Expo by Meghan O'Sullivan; her breakout session will take place on Friday, November 2. Find out more about the breakout sessions here. In this session, hear how one provider in Alaska has rapidly incorporated technology into their service model to empower people with disabilities to live more independently. Based in Juneau, REACH provides both services and advocacy to people with disabilities. Their overall goal is to ensure the people they serve and other fellow Alaskans are safe and are taken care of in the homes they want to be in. Hear from them about how their clients’ concerns with medication compliance, cooking safety, and falls are being addressed through solutions with voice prompts, door sensors with real-time notifications, and wearable pendants. REACH is able to obtain data from the technology to give guardians and care coordinators more peace of mind, knowing that the people they care for are okay and can be checked on if there is a concern. As a result, people are living in the environment that is their first choice. Read about how they are doing it at REACH. The theme of the 2018 MACSP Conference is "Technology for Inclusiveness and Excellence." Where: Doubletree by Hilton in Portland, Maine. Description: Come learn about cutting edge technology and the ways it can be incorporated for high quality support and inclusiveness for individuals with intellectual and developmental disabilities. The conference is open to all with workshops geared towards organizations providing support, families, and individuals supported alike. Tennessee Community Organizations (TNCO) is a professional trade organization for Home and Community Based Services Providers. Our member agencies provide supported employment, residential services, day services, respite services, personal assistance, professional services, specialized medical equipment, etc. for individuals with intellectual and developmental disabilities across the state of Tennessee. Our goal is to empower our member agencies and the communities they serve with beneficial communications, educational training, networking and advocacy opportunities. New York Alliance is proud to announce our 4th Annual Fiscal Intermediary / Self-Direction Summit. As in the past three years, this event features information sharing and best practices for self-direction occurring in New York State. Full agenda now available! Click Here to View. This event is being held on Thursday, October 18th, from 8:45am-2:00pm, at the Avalon Banquet Hall in Elk Grove Village. Attendees will include individuals with a disability, their family, and professionals. Visit SimplyHome's booth during the morning session (8:45am-11:00am) where we will be showcasing our newest solutions. This event is for people who want to learn about the latest technologies, products, and services to improve their lives, the lives of those they serve, and loved ones. This event offers offers the opportunity to engage in conversations with a representative who can answer your questions as you explore what is available to meet the needs of the disability community. We are pleased to share that SimplyHome Representative Meghan O'Sullivan will host a workshop called "Technology Tools for Independence" on Friday, October 19 in Session G (2:45 – 4:00 pm). Please feel free to visit the booth, attend the session, or both! Disability Cocoon's inaugural one day disability technology festival will be held on October 15th, 2018 in Cincinnati at the American Sign Museum. The festival will include several short Ignite-style presentations/demos, disability technology expert sessions, "innovation-storming", food trucks, breweries, games, and massage; a day of fun, learning, collaboration, and inspiration in a unique, laid back environment. The 2018 RCPA Conference, Fueling the Future, will take place in Hershey, PA, at Hershey Lodge, October 2-4. Pre-Conference events begin on October 1st. Find out more about the schedule here: RCPA 2018 Conference Schedule. The Kentucky Association of Private Providers will hold their 4th annual conference in Louisville, Kentucky. The conference will take place September 26-28th at the Marriott East. SimplyHome will be exhibiting and our Director of Education & Consultation, Cameron Kempson, will be presenting. SimplyHome will be attending the Enabling Technology Summit held by the Tennessee Department of Intellectual and Developmental Disabilities. It will held in Nashville, September 12-13. DIDD is happy to announce that registration has opened for its second annual Enabling Technology Summit on September 12-13, 2018 at Hotel Preston in Nashville. The summit will include two days of sessions and an evening networking reception. The agenda and other details can be found here at the DIDD website, and you can use the following link to register for the summit. The 2018 Reinventing Quality Conference is jointly hosted by the National Association of State Directors of Developmental Disabilities Services (NASDDDS), Research and Training Center on Community Living at the University of Minnesota, Human Services Research Institute (HSRI), University of Delaware National Leadership Consortium, American Network of Community Options and Resources (ANCOR), American Association on Intellectual and Developmental Disabilities (AAIDD) and TASH. The Reinventing Quality conference started in 1991, sponsored by the National Association of State Directors of Developmental Disabilities Services (NASDDDS) and the Research and Training Center on Community Living at the University of Minnesota. The first few conferences were held in Chicago, and then the meeting started to circulate around the country. In the fall of 1999, NASDDDS was awarded a three-year grant by the federal Administration on Intellectual and Developmental Disabilities to gather and disseminate "best practice" information on individualized, person-centered supports and related quality management activities. This "Reinventing Quality" project was carried out in collaboration with the Research and Training Center on Community Living, one the nation's premier disability research and training centers, and the Human Services Research Institute, a policy research firm specializing in mental health and developmental disabilities issues. Among the activities supported by this grant was the sponsorship of nationwide conferences to showcase best practices in person-centered supports from across the nation: The Reinventing Quality Conference. Although the project's funding ended in the fall of 2003, biennial conferences traditionally held in Baltimore, MD have continued under the direction of the original project collaborators along with several other national partners. Join CEO Allen Ray at 10:45 AM for his session focused on how enabling technology creates outcomes. Stop by our booth anytime! From tablet and phone apps to in-home remote support systems, this one-day event offers attendees a chance to learn about different kinds of technology available to support people with developmental disabilities who want more independence in their lives. People with disabilities, their families, advocates, and professionals will hear from experts in the disability field from across the country. Advocates and family members will talk about the technology that has influenced their lives. This event is $50 for professionals and free for adults with DD and family members. SimplyHome's New York Representative, Meghan O'Sullivan, will exhibit products and talk about services available to increase independence. 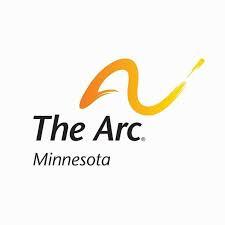 Join SimplyHome's Chief Development Officer, Jason Ray, and Minnesota Representative and President of Mercarik Inc., Mathew Hansen June 6th at 3:15 for their presentation on how to convert information generated by technology into useful information for individuals and their caregivers. In its use, a person can be supported in their quest for maximum choice. Technology, along with our combined imaginations, allows us to overcome the impossible to create outcomes never contemplated when the methodology of services and supports we use today were created. REACH, Inc Director, Ronald Little, explains how they are on a mission to connect the people they serve -- many of whom have intellectual or developmental disabilities -- with the services they need and the communities they live in. Join us in GA! SPADD’s Annual Conference is a two-day event featuring dynamic sessions designed to educate and inspire Georgia’s professionals in the field of intellectual and developmental disabilities. Join us April 29-30, 2019 at the beautiful Augusta Marriott at the Convention Center for vital, interactive discussions on best practice and policy initiatives, plus plenty of networking opportunities. Join us this April as we exhibit at the 2018 ANCOR conference! We are also proud to partner with Innovative Services who will celebrate as one of their employees is awarded the National DSP Award during the conference. In honor of Jeff Pagel's achievement, we are including an article written for the occasion. We are proud to work with Jeff and Innovative Services! Congratulations, Jeff!